DEEP BLUE Watches are in the process of releasing their greatest hits album! 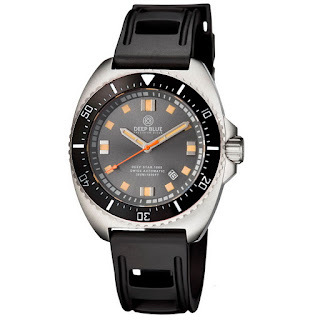 Here’s the next release, the DEEP STAR 1000, which imo is DB’s greatest hit to date! The Deep Star 1000 has a 45mm in diameter by 15mm thick 316L Stainless steel case with a lug-lug measurement of 53mm. 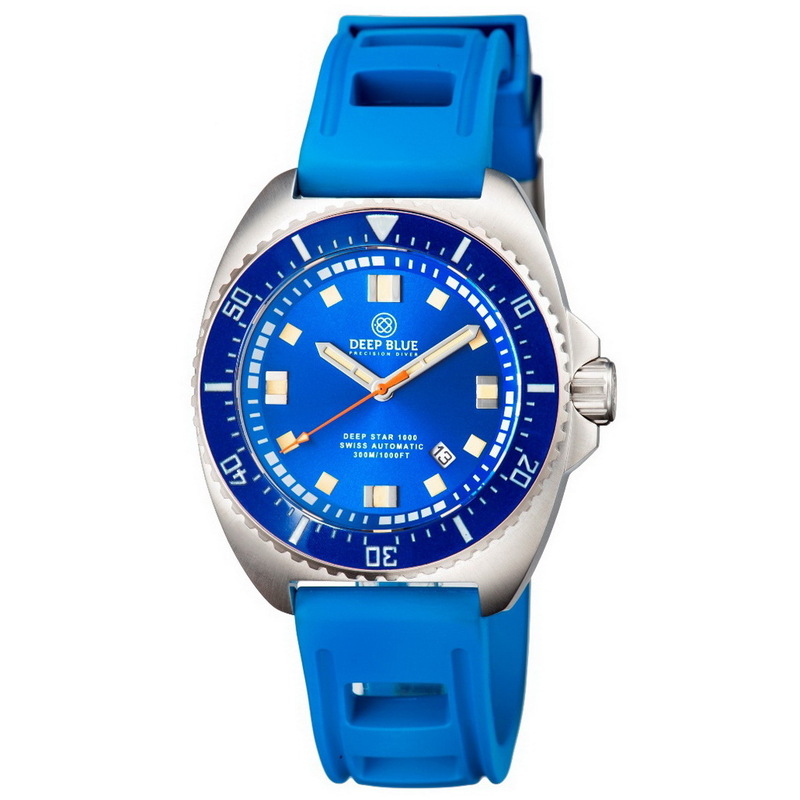 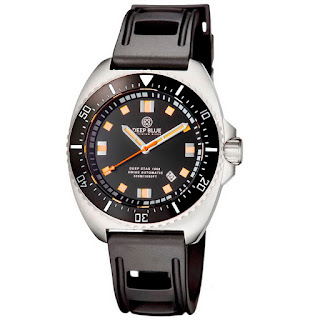 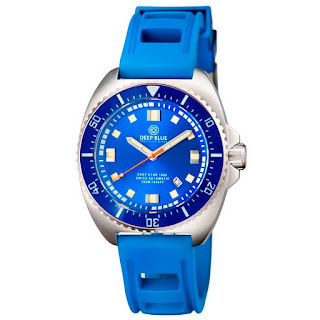 120-click unidirectional rotational divers bezel with a luminous ceramic inlay – available in either black or blue. 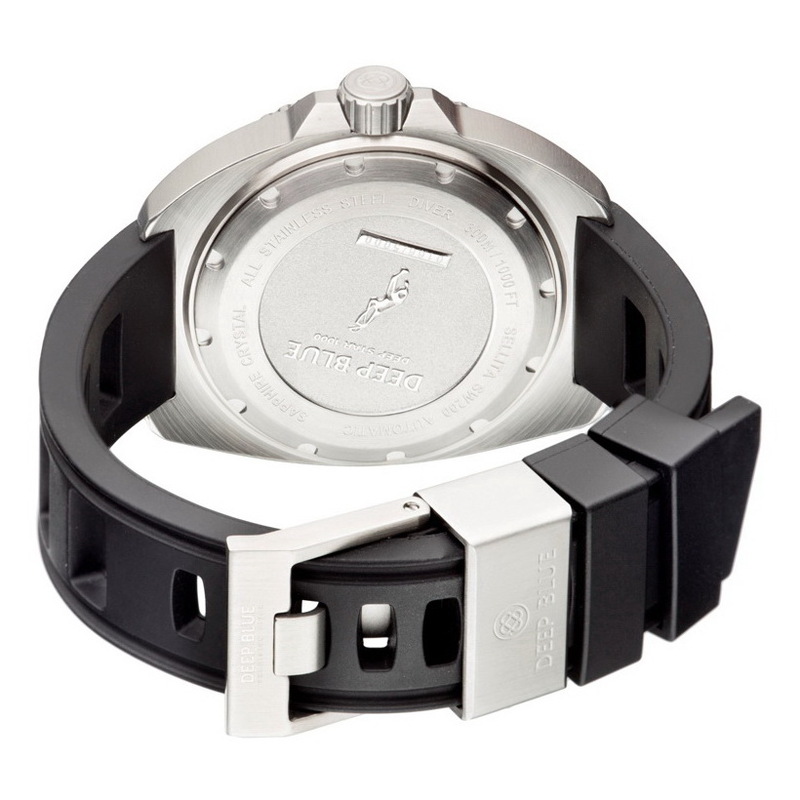 Water-resistance is 330 meters / 1000 feet. An automatic Helium Escape Valve can be found at the 9 o’clock position on the side of its case. 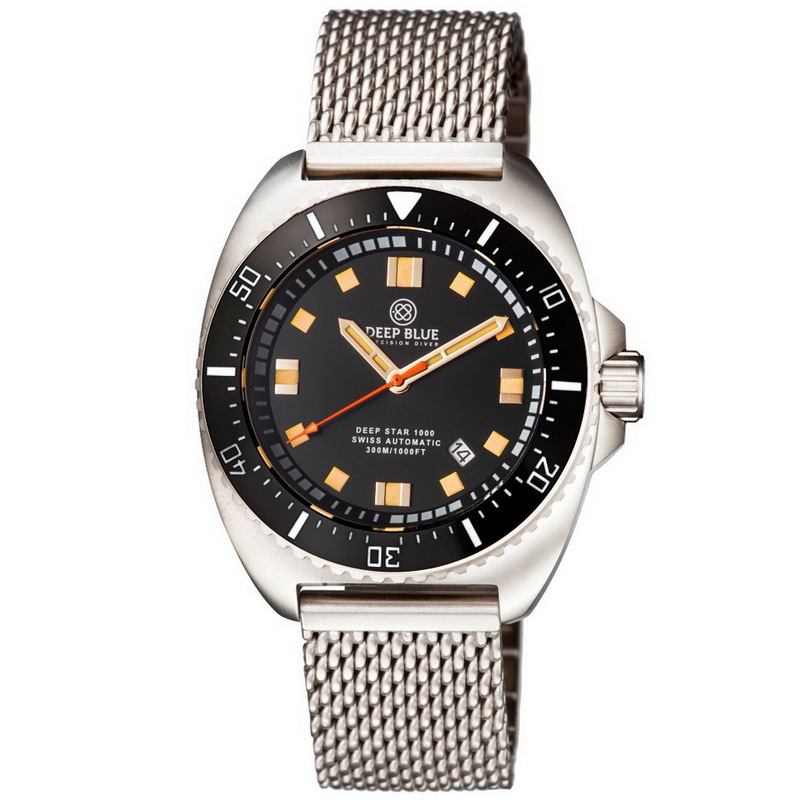 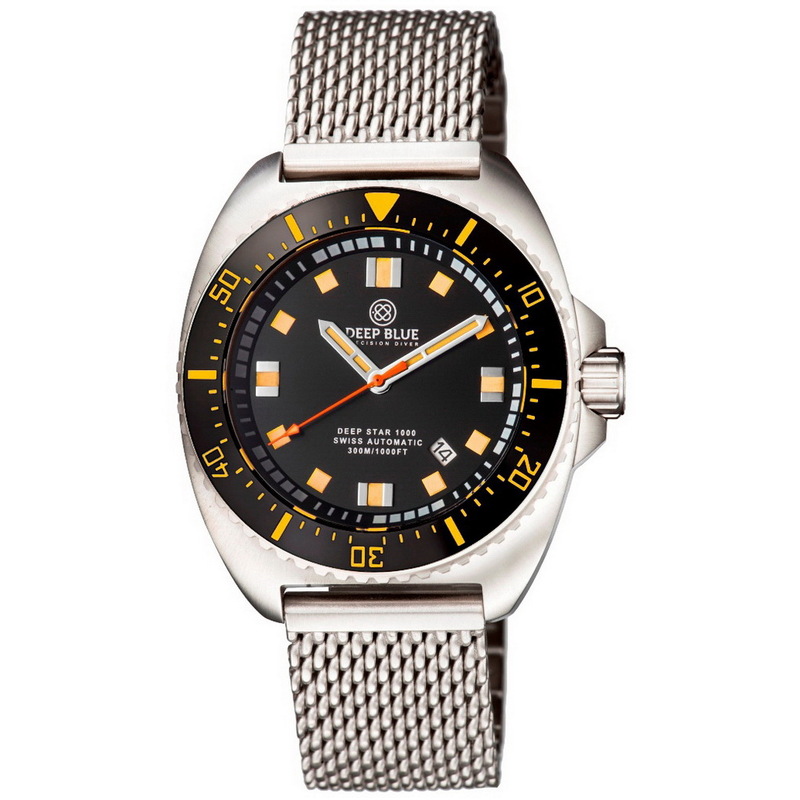 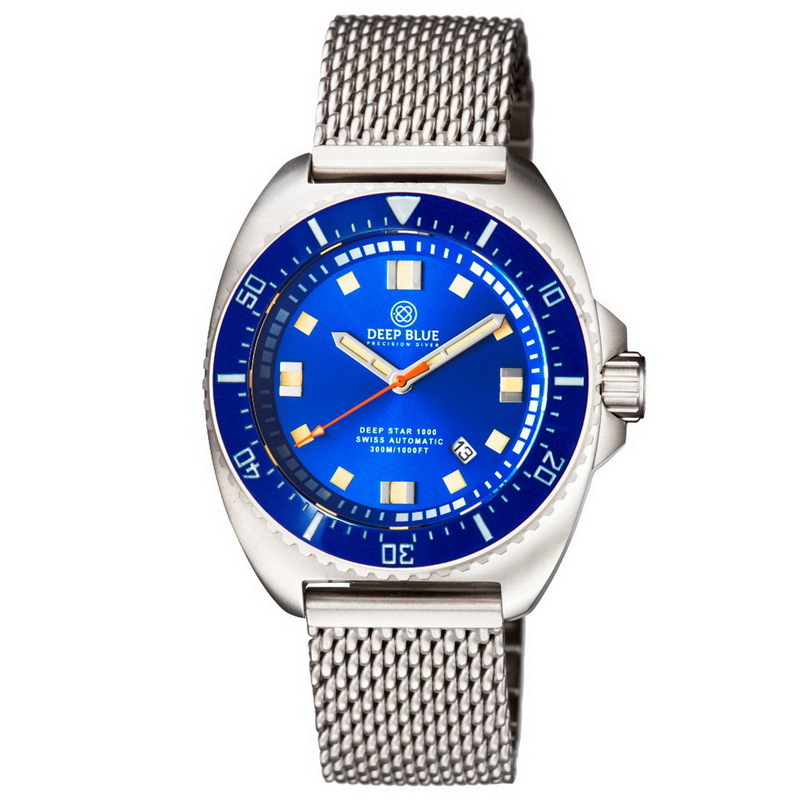 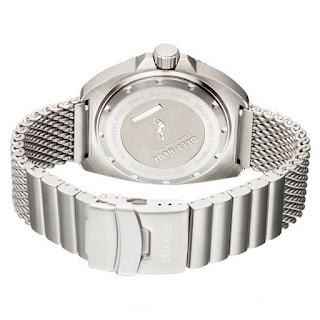 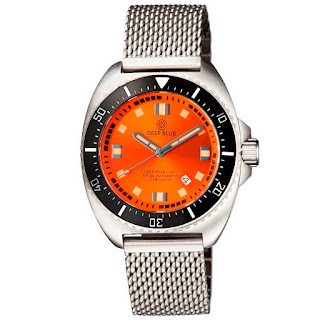 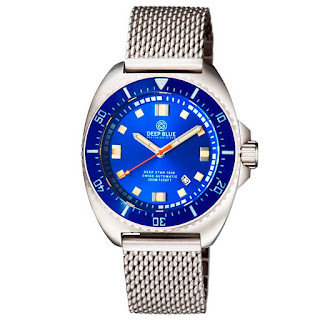 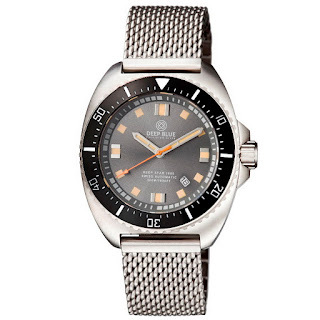 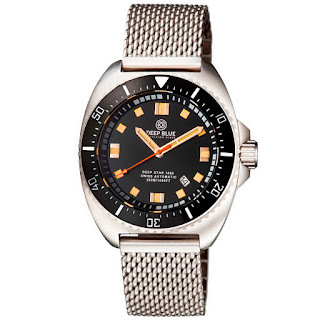 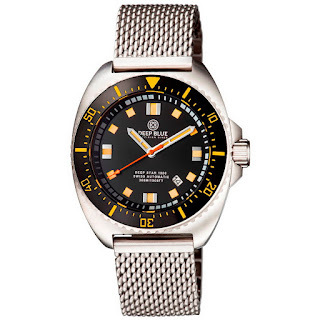 While a an engraved diver can be found on its solid steel caseback. 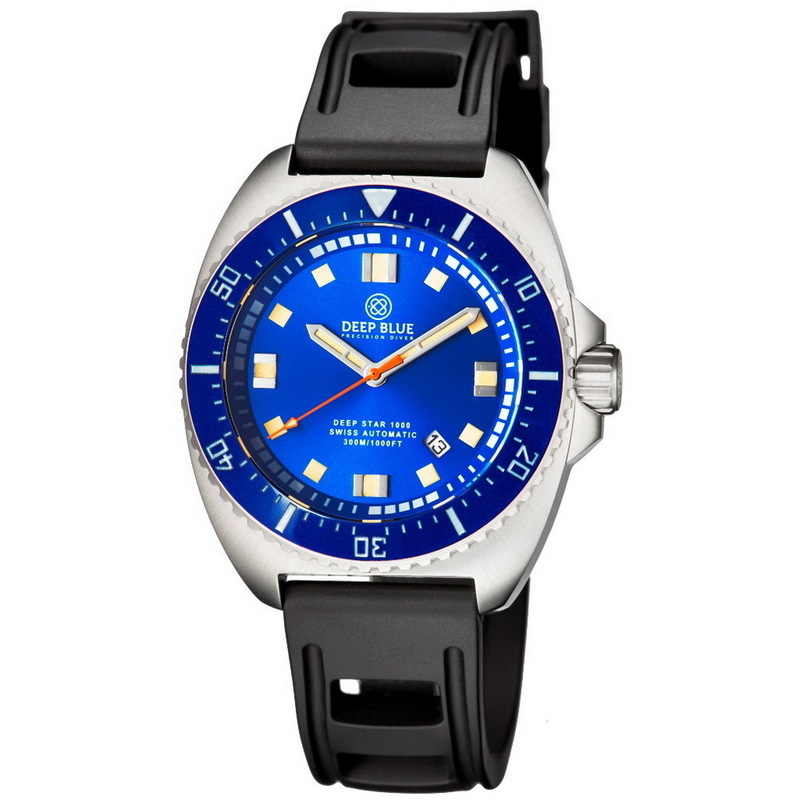 Housed inside the Deep Star 100’s vintage inspire case is a Swiss made Sellita SW-200 automatic mechanical movement with 26 jewels, Incabloc shock-protection and a beat-rate of 28,800 VPH. It has a sunray dial with mirror-indices at 12,3,6 and 9 and block white/stick minute markers on its chapter ring. 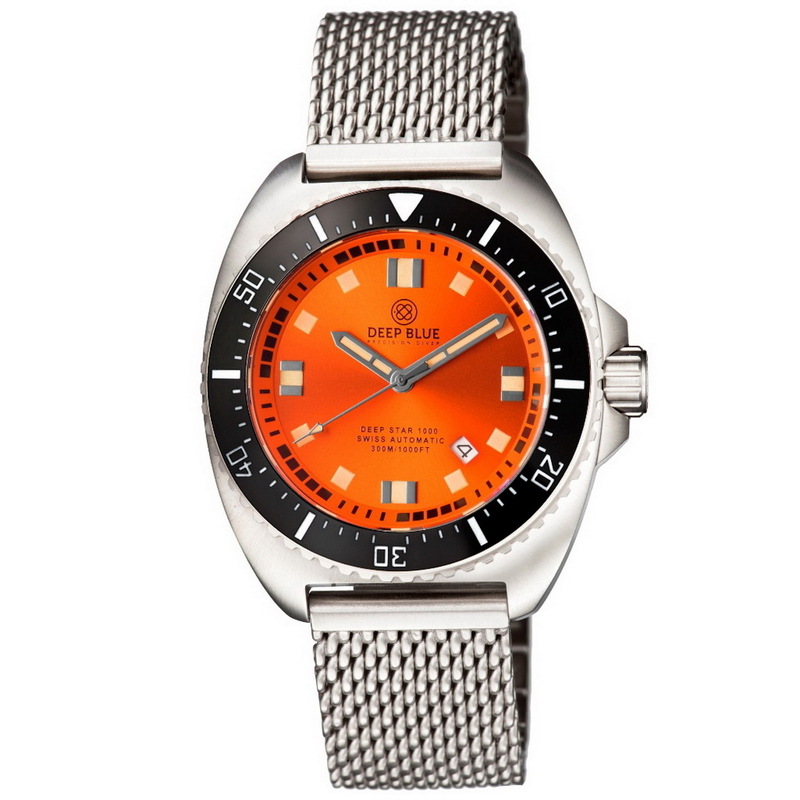 The dial has vintage-style SuperLuminova applied hour-markers and hands. 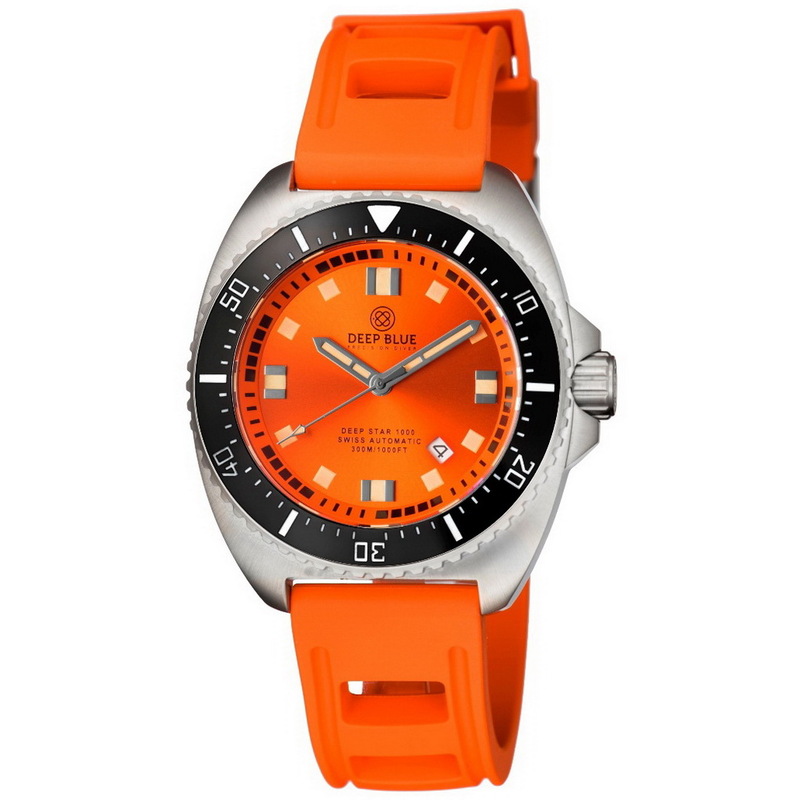 It is available seven different colors including: black, blue, orange and silver. 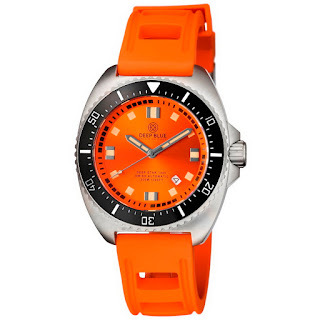 It comes on either a natural rubber divers strap (check out the triple keeper – one of them’s steel!) 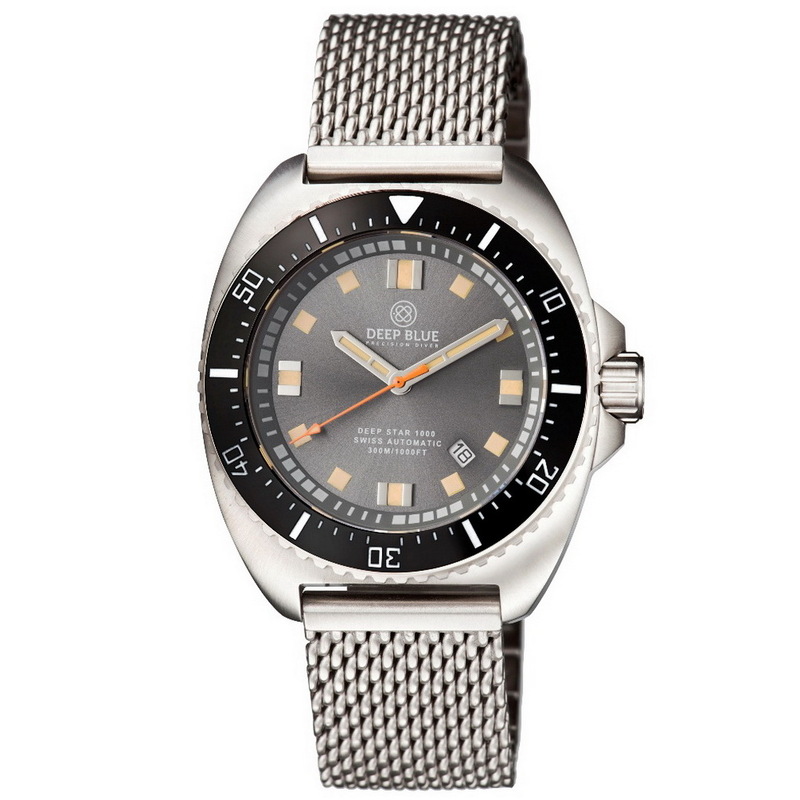 or a Stainless steel mesh bracelet with solid links.